The most celebrated night-club of the BYP era was, of course, the Gargoyle at 69 Dean Street. It was opened in 1925 by David Tennant, who claimed he just wanted a congenial place to dance with his girl-friend (Hermione Baddeley, who he married in 1928).It attracted artists,intellectuals, writers and young socialites in equal measure. With a membership that included almost everyone associated with London Bohemia, it remained a key location for thirty years and anecdotes about the club appear in almost every reminiscence of cosmopolitan cultural life of the period. Brian Howard, Brenda and Napper Dean Paul were regulars – Howard seems to have taken up almost permanent residence during World War Two. 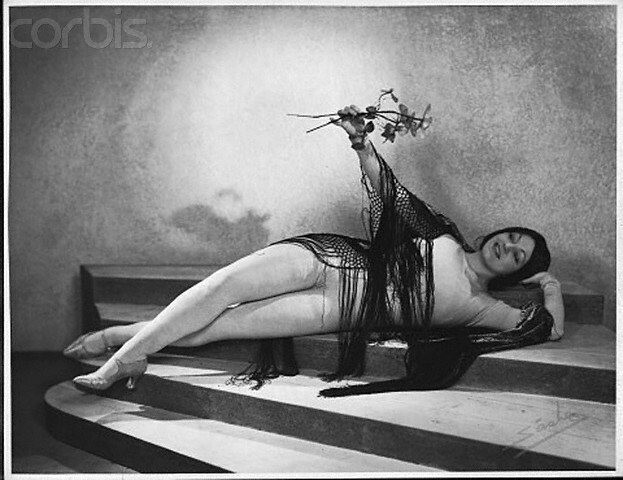 In the 1920s, Elizabeth Ponsonby had horrified Frances Partridge with her drunkenness at one party (Bloomsbury and the Bright Young Set did not always mix well).The club’s initial manager was the singularly disreputable Harry Rowan Walker, as raffish a figure as any of Elvira’s set and who she may have known as the some-time boyfriend of Brenda Dean Paul (who also had an affair with David Tennant). These and others, feature in “David Tennant and the Gargoyle Years” by Michael Luke, an affectionate but by no means comprehensive, biographical study. 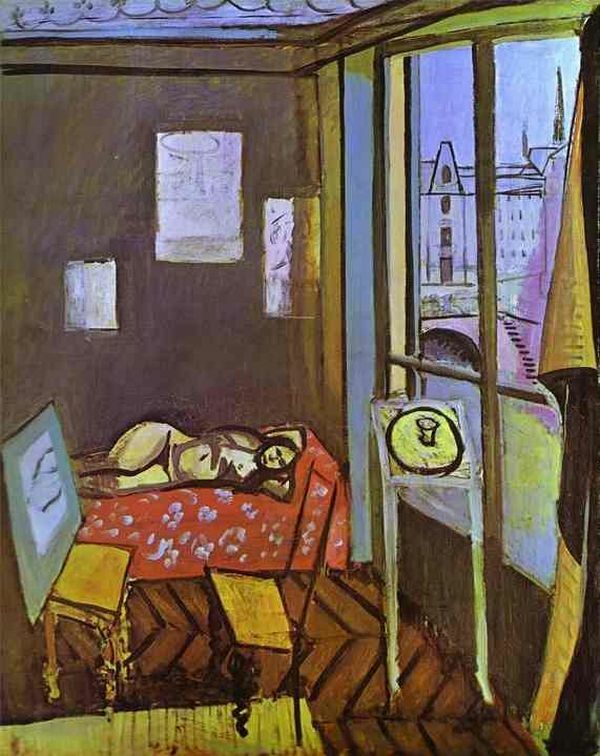 “The decor is bright but tasteful and Matisse gave his expert advice. Several of his drawings of ballet girls grace the upstairs bar which is a cheerful spot always crowded with people discussing art, politics or women in the liveliest way. “My unpaid cabaret,” David Tennant calls them. The liquor is always of sound quality and the prices not too stiff. Nor will the barmen raise superior eyebrows if you demand half a pint of bitter and linger over it. One of their specialities is a Pimm with a dash of curacao. The restaurant downstairs seats 140 and its ceiling and general design have been modelled on the Alhambra at Granada. The mirrors are particularly attractive, unless you have drunk too much gin!. Here one can feed in comfort and a cheery, intimate atmosphere. Luncheon is served from noon until 3 p.m., and dinner from 6 p.m. until midnight.In the old days, when theatres ended at a civilised hour, the chef would put on a specialite de minuit, something tasty like onion soup with croutons. But even with present day shortages, the menu always shows imagination. The last time I dined at the club I had a dozen excellent oysters, soup, duck and delicious ice cream. The oysters were extra, of course, but five shillings covered the rest. Tennant, I should say, has an eye for vintages, and his pre-war wine is a sentimental memory (fine Club “fizz” at 13/6 a bottle! ); even today he manages to produce a dinner wine that is no insult to the palate. Alec Alexander’s band was , in fact, a little bit of a joke to some of the post-war clientele (Lucian Freud and Henrietta Moraes were particularly scathing). 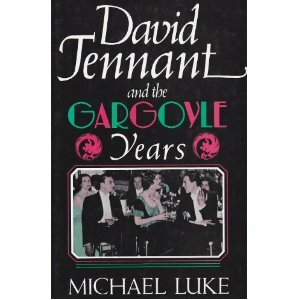 Tennant for all his talents as a host was, unlike most of his contemporaries, not much of a jazz fan – by 1946 the Gargoyle was starting to be seen as a bit of a throwback. It never quite reclaimed either its pre-war glamour or its wartime popularity. However, it lasted a few more years and its 40s and 50s membership list remained impressive. 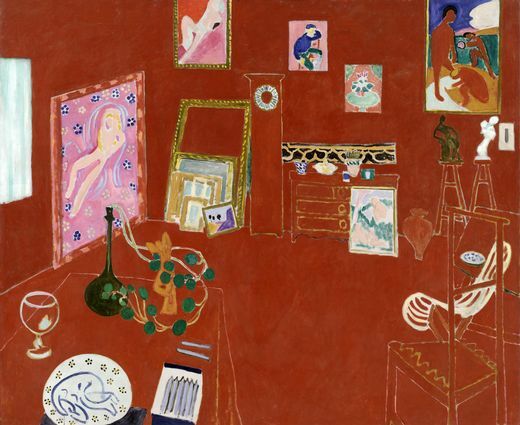 That earlier chic, even avant-garde, ambience is best summed up by the two Matisse paintings that Tennant installed not long after the club’s inception (I think Jackson is wrong about the “ballet dancers)”. The two works in question were “The Red Studio” and “The Studio, Quai St. Michel“. The former was hung in the bar, the latter on the stairs down to the dining.dance area. These are two remarkable, and significant, works of art. To find them in a “night-club” gives some indication as to why the Gargoyle was seen as somewhere special, unique even. There is much more to be said about the Gargoyle and its place in club history. David Tennant too – he has not quite been given credit for his role in the Bright Young phenomenon (unlike his younger brother, Stephen). However, it is Harry Walker who is intriguing me just now and I shall post something on him as soon as I have a little more info. The importance of Cabaret and the Revue to both popular and Bohemian culture between the Wars is undeniable. 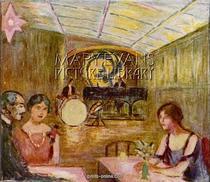 The first Bohemian night-clubs, The Cave of the Golden Calf, The Hambone and the Cave of Harmony were all initially cabaret-bars, modelled along Parisian lines. The craze for dancing in the 1920s reduced the Cabaret to a specialist or novelty act and the dance-bands and pianist-singers began to dominate. The legacy remained though. 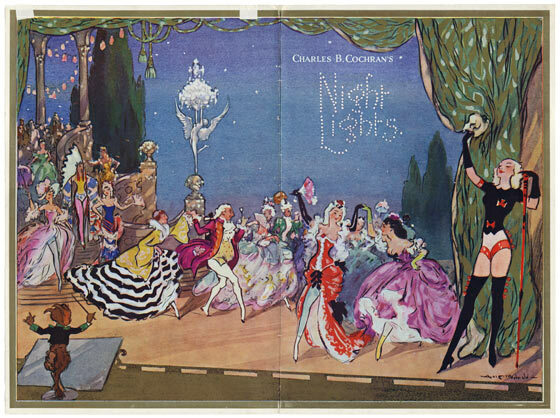 At the same time, in the theatre, Andre Charlot and C.B.Cochran developed the Revue with a string of spectacular and innovative productions.Elements of music-hall, Parisian Folies, jazz, ballet and topical satire all combined to create a distinctive, and very popular, night out. Both men favoured a mix ofthe high and the low, of sophistication and spectacle. They also had a great eye for new talent and many of the great acts of the time owed their careers to their foresight. Aside from several mammoth (and expensive) productions they also pioneered what came to be known as the “Intimate Revue”, which achieved particular importance in the 1930s. Its success owed much to Noel Coward’s 1920s Revues, first for Charlot and then jointly with Cochran, On With The Dance (1925) and This Year of Grace (1928). These had provided the decade,s two most evocative and anthemic songs, firstly Poor Little Rich Girl and secondly Dance Little Lady. 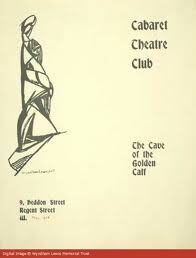 The Intimate Revue was a theatrical event that drew inspiration from both Cabaret Club and larger stage performances. It was very fashionable for a while and its audience pretty up-market. 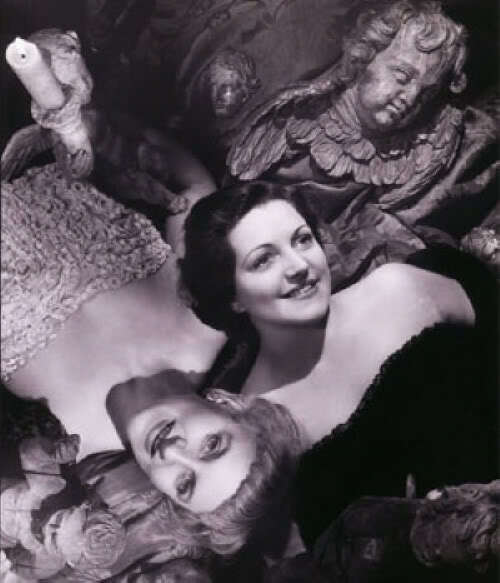 Certain artists became particularly associated with genre, Hermione Baddeley and Hermione Gingold especially. One programme is enough to reveal the array of talent involved and the general ambience of these Revues. Some of the actors would go on to become the most familiar of British and American screen faces, others important figures in television circles. At least two were friends of Hugh Wade and Elvira. Norman Marshall was the owner of the theatre and an important figure in what would now be termed alternative theatre. He used the Revues to finance more experimental and “difficult” productions (see Norman Marshall). 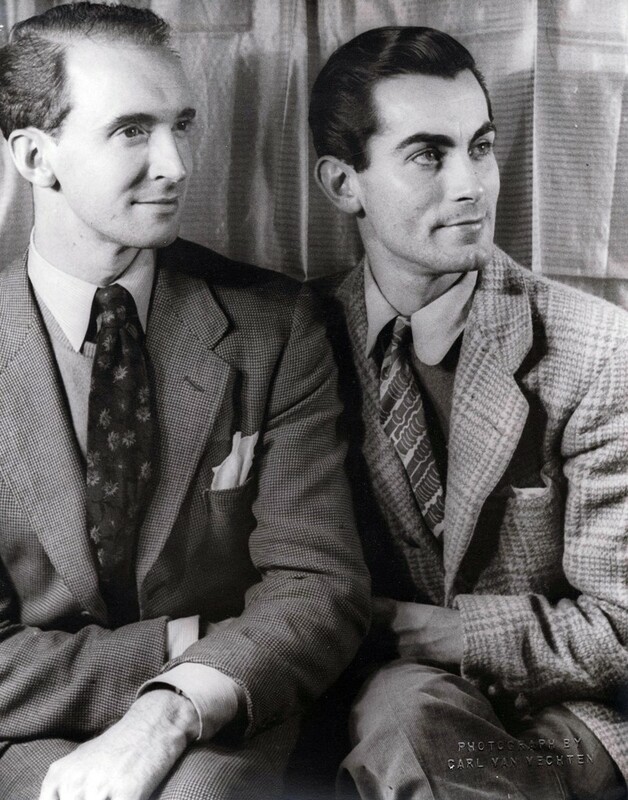 His co-director,who wrote the music was Geoffrey Wright (see Geoffrey Wright Obituary ). This Oxbridge partnership gives the lie to the myth that “Beyond The Fringe” was the first manifestation of the Footlights tradition on the London stage. Billy Milton was at the height of his popularity at this time, spending his time between cabaret spots in London, Paris and New York. He has appeared on this blog in several guises, playing at Elvira’s parents’ house, claiming to have missed Elvira’s party by a day, befriending Napper Dean Paul in Cannes and generally knowing everyone in show-business and Society. Apart from Gingold, the name most likely to resonate today is Charles Hawtrey. It is easy to forget that he had a long pre-Carry On career and in 1937 had already endeared himself to the British public as the obnoxious schoolboy in Will Hay’s stage and cinema act. Hawtrey’s later life is one of tragedy and alcoholic downfall, so it is pleasant to remember him in these early years of success. He was the show’s compere. 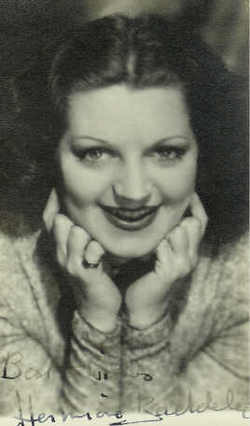 Nadine March was a popular stage actress and revue star. Her speciality was a parody of Kensington/Mayfair society and party girls, which I am sure guaranteed her a good reception from the type of audience who attended the Gate and similar venues. The name Nicholas Phipps may not mean much but his face is instantly recognisable from innumerable British comedy films where he tended to play officious or military types. He also was a screenwriter, his script for Doctor In The House (1954) being BAFTA nominated. 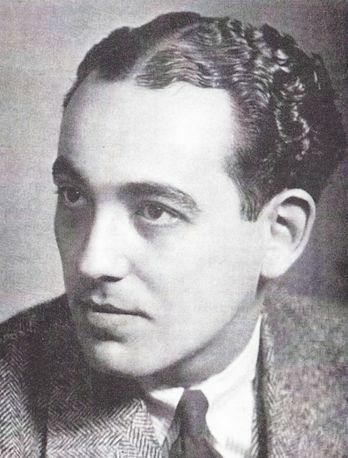 Equally ever-present on screen was Reginald Beckwith, whose film credits read like a history of post-War British popular cinema ( Freedom Road, Genevieve, Thunderball et. 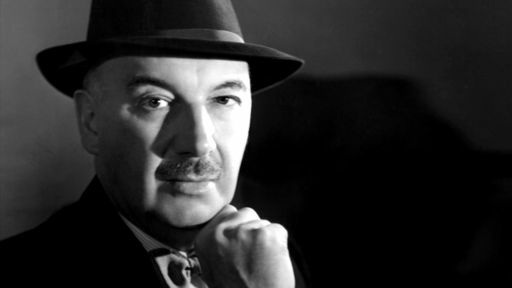 He was also a scriptwriter for revues and other stage productions. In “Members Only” he played a (comical) male stripper, not the sort of thing seen too regularly in the mainstream West End. Among those who provided the sketches were the playwright Diana Morgan (her husband, Robert MacDermot,later head of drama at the BBC, co-directed) and Arthur Marshall. Diana Morgan was to become a successful screenwriter (see Diana Morgan) while Arthur Marshall became known to television viewers through his appearances on Call My Bluff. In 1937, Marshall was a schoolmaster at Oundle but also had ambitions as a comic and cabaret turn. He had already begun his reviews and parodies of Public Schoolgirl stories (see Finding Schoolgirls Funny ), an acquired taste but one apparently shared by many. And then we have Hermione Gingold, for whom the word “character” seems hardly adequate. I think I will post on her separately but through her friendship with Elizabeth Welch and Brian Desmond Hurst and her marriage to Eric Maschwitz ( lyricist to “These Foolish Things”) she was very much at the heart of West End society. To me it is a remarkable list of people, cutting across a great swathe of British popular culture. There is a strong Public School, Oxbridge element involved and a definite gay and camp air to the proceedings. The show was well reviewed, Dilys Powell in the London Mercury praised Billy Milton’s American Film Star, Nicholas Phipps’ “Shooting Colonel”, Nadine March’s Kensington Girl, Beckwith’s Stripper and Hawtrey’s Compere. She was very taken by Gingold’s “Snake Charmer” and Richar Haydn’s “Fish-Impersonator” (the mind boggles). It was all very light-hearted and, I’m sure, a jolly good night out. I don’t know of a definitive history of the Revue but hope there is one somewhere.Of course, I can’t help wondering about the social network these artists operated within or wonder which night clubs they and the audience went to after the show. Here are the details (swiped from http://users.bestweb.net/~foosie/cyril.htm) of the programme for the revue TO AND FRO – which opened at the Comedy Theatre and ran from November 26th to December 12th 1936. It was devised and largely written by Simon Carnes and Edgar Blatt. The ballet pieces were choreographed by Antony Tudor. The set designs were probably by Carnes but may have been by Sophie Fedorovitch as she was a close friend of Carnes (who is better known as Simon Fleet). Hugh Wade contributed the music to four songs, the most significant being “Haven’t Got A Heart”. This was sung by Hermione Baddeley and written by James Laver ( see https://elvirabarney.wordpress.com/2011/12/20/james-laver-iconographer/). It was the lament of a Bright Young Thing of 1926 – ten years on. I will post separately on some of the cast as there are names here that should resonate more than they currently do. As an art form,the Revue, with its mixture of ballet, classical music, popular song and satire remains one of the most characteristic (and under-examined) aspects of inter-War West End culture. I would like to explore that further at some stage. For the time-being, note the presence of Lord Berners and Osbert Sitwell, the dancers Maude Lloyd and Hugh Laing, alongside stage and film stars such as Hermione Baddeley and Esme Percy. 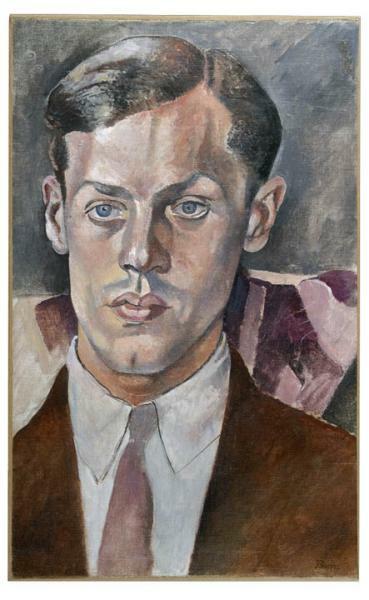 Hugh Wade’s participation runs counter to the image of him as completely marginal to the creative and culturally productive aspects of 1930s stage and theatrical life. With such an array of talent, you may wonder why the show was so short-lived. 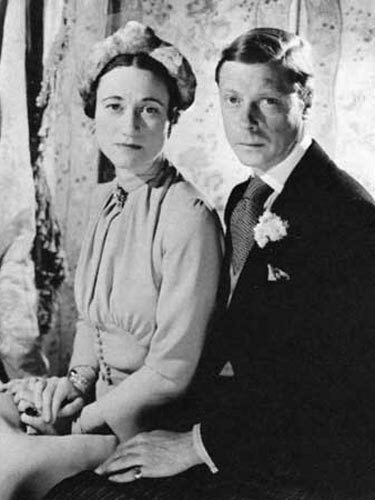 Unfortunately, the running joke that linked the various songs and sketches was the affair between Edward the Eighth and Wallis Simpson. With Edward’s abdication on the 11th of December the project was doomed. Finally, I can’t help wondering about the running time of these revues. There are 44 separate items plus an interval. The opening night show, and I think most of the subsequent ones, started at midnight. If you throw in an after-show drink at the Florida or the 400, it is no wonder so many reminiscences of the period recall returning home after the dawn. Out of the Cage Lyric by Edgar Blatt; music by Nat Ayer, Jr.